Conspiracy theorists believe that the dark matter hurricane will result in an imminent apocalypse on earth. Adding heat to the outlandish apocalypse claims surfacing all around the internet, a team of astronomers has suggested that an incredibly fast dark matter hurricane will soon slam into the earth as it moves through the Milky Way. As per the calculations made by astronomers, this dark matter hurricane is apparently traveling at a speed of more than 500 kilometers per second, and it is now widely considered one of the most turbulent space events ever witnessed in the solar system. However, experts have already made it clear that there is no need to panic, as it will not cause any damage. In fact, analyzing this speeding dark matter hurricane could help scientists to know more about the most mysterious particles in the Universe. It should be also noted that we could not see nor feel this dark matter hurricane that may slam into the earth, but chances of a direct detection of dark matter will be more during this space event. So, how did these astronomers predicted this collision if dark matter is not visible? Using data collected by the European Space Agency's Gaia satellite, astronomers discovered a stellar stream that is actually the remains of a large dwarf spheroidal galaxy that was eaten by the Milky Way many years ago. This stellar system dubbed S1 has left a stream of orbiting stars that circle the galactic center. 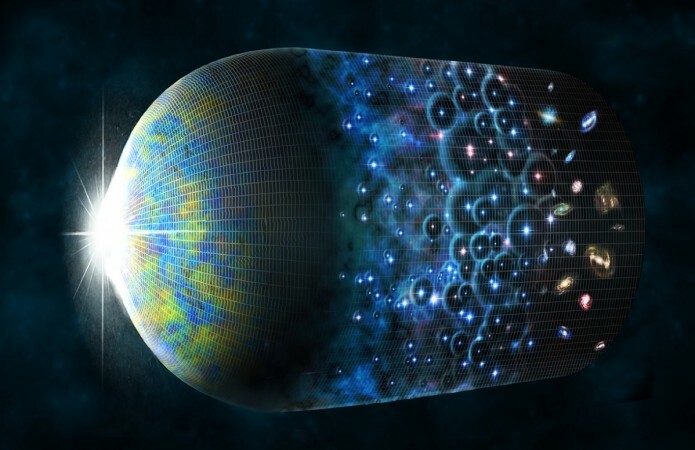 Experts believe that S1 might be flying through dark matter at around 230 kilometers per second, while the dark matter present in this stream might be traveling at double that speed, at around 500 kilometers per second. The study led by Ciaran O'Hare, a theoretical physicist at the University of Zaragoza in Spain, tried to figure out the impact of S1 on the dark matter in the little nook of Milky Way. After analyzing the distribution of dark matter flowing in the S1 stream, these scientists predicted that signatures for these models could be picked up by detectors here on earth. Even though experts have made it clear that this dark matter hurricane will not cause any devastations on earth, adamant conspiracy theorists strongly argue that these strange space events could be the indication of an imminent apocalypse. Some of these conspiracy theorists, without any substantiating evidence, believe that it is the arrival of Nibiru alias Planet X which is resulting in these cosmic events. However, the fact is that there is no need to panic when you hear the term 'Dark Matter Hurricane', instead this event will be actually beneficial for modern science to understand more about the universe.